Some might think we hibernate once January hits, but they would be wrong. So wrong. I think the cold brings out the best of us, whether we’re layering up to go play in the snow or feasting our senses on a great performance or an interesting piece of art. Here’s our list of the top things to do this week around the province. Enjoy a hilarious spoof of the Frankenstein story at Young Frankenstein, The Musical! Mel Brooks’ new musical version of his classic film includes all the zany characters and gags, but this time they also sing and dance. A show not to be missed. What’s better than a music festival at a ski chalet? Nothing! The Snowdance Festival of Music and Winter is gearing up for a fun weekend of music and outdoor activities. The festival kicks off on Saturday afternoon with concerts in the chalet and activities around the hill. It will lead into an evening dance party and night tubing. The music starts up again in the chalet on Sunday morning with workshops and concerts throughout the day. Get a glimpse of the action. The Wonderful Wedding Show features over 300 displays and 100,000 square feet of the latest must-have wedding fashions and trends, wedding products and services, and much more! One lucky couple will even win a DREAM WEDDING at Bel Acres Golf & Country Club! Jan 17 | 2:00 p.m. to 3:30 p.m. Warm up with the Park Interpreter around the campfire and discover the Whiteshell’s fascinating history – from early explorers in canoes and snowshoes to the designation of the provincial park. Afterwards, enjoy some hot chocolate and roast hot dogs over the fire. By combining humour and healing, Don Burnstick has established himself as one of Canada’s best comedians. 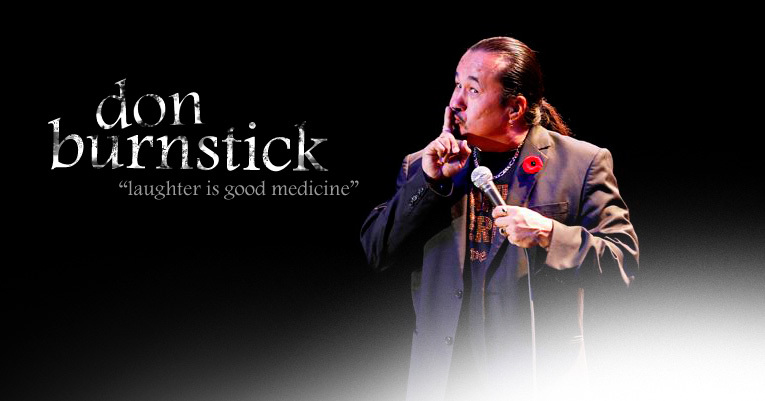 Unlike any comedian before, Don brings to light First Nation cultural habits, likes, dislikes and tells them in an epic performance that you will never forget.